And this king was king over the entire earth. He treated his subjects as if they were his own children. And he was left with only his own province to rule. That, too, fell under the sway of corrupt minsters. So begins the story of the ill-fated king of the Devī Māhātmya (The Greatness of the Goddess), Suratha, who wanders into the forest and encounters a sage, Medhas. The forest-dwelling sage schools Suratha on the nature of suffering and mechanics of sovereign empowerment. What does Suratha’s schooling look like? He is told three riveting stories of the grandeur of the Goddess, of the colossal marital feats she undertakes in the defense of dharma, protection of the gods, punishment of evil-doing demons, and restoration of heaven’s throne. Enthralled by her majesty, her mystique, her extraordinary power, the king resolves to worship her for three long years whereby he earns a boon: the power to reclaim his throne. The Goddess in fact grants two boons: sovereignty to the king and liberation (mokṣa) to the king’s merchant companion. In doing so, she artfully expresses a dichotomy at the heart of the Hindu world: the opposing ideals of ascetics and kings, what I call Hinduism’s dharmic double helix. Brāhmaṇic ideology can dispense neither with the values of the world-affirming householder, epitomized by the king, nor those of the world-abnegating renouncer, epitomized by the ascetic. The Goddess richly encodes the ambivalence between spiritual and social power, integrating these opposing ideologies through a vision a supreme power as the source of both. Decoding her greatness, then, necessarily results in decoding Hinduism, which she teaches at every turn. But just as the king is schooled by her tales, we are doubly schooled, learning from his tale and the tales within his tale about the Goddess’s glory. The telling of tales is a powerful pedagogical tool. Such stories teach us not only about Hinduism, but also about how to teach Hinduism. Just as this article opened with a story, so, too, have so many of my classes at the University of Toronto School of Continuing Studies where I’ve taught religion and mythology courses since 2010. I might tell a mythic tale from Egypt, Babylon, Greece, Rome, India, Persia, or China. Live storytelling remains a cornerstone to my particular brand of student engagement whether at the School, while teaching religion to undergrads at Ryerson University this past year, or guest lecturing at various University of Toronto undergraduate religion courses since 2012. Why live storytelling? The gist of this pedagogical strategy is to immerse learners into an impactful storied experience where they can intimately experience the religious themes encoded within the tale being told. Only then do we defer to the analytic mind to decipher the storytelling they experienced—an undertaking interspersed with lecture unpacking vital material along the way. The level of engagement and retention occasioned by this strategy has been astonishing. In "Teaching Stories about Teaching Self: Upaniṣadic Narrative in the Classroom," Steven Lindquist discusses an unassumingly radical pedagogical strategy: engaging Upaniṣadic narratives as narratives. When we assume that the Upaniṣadic stories are exclusively about classical Hindu philosophy—advancing concepts such as ātman and brahman, for example—we lose sight of salient themes encoded within the very characters, plots, and narrative cradling these concepts. Lindquist’s students get to unpack narrative framing, character and characterization, foreshadowing, plot, narrative tension, looking to clues embedded in the social positioning of characters (e.g., caste, gender, and social role, such as a family member, king, god, or teacher) and speech characteristics (such as repetition, sarcasm, threats, and ways that these could be interpreted by an audience). In doing so, they come to see that Upaniṣadic narratives are much more than flimsy literary conceits deployed to anchor key concepts such as ātman, karma, renunciation, mokṣa. Maintaining an appreciation of such stories as stories is vital for understanding the various historical horizons striving to preserve the Upaniṣads as hallmarks of classical Hindu thought. 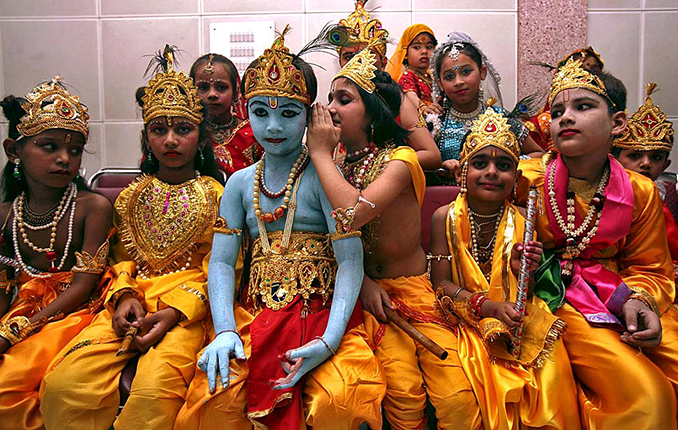 Stories have served as the tissues of Hinduism from Vedic to modern times. Is it a wonder, then, that our next contributor draws heavily on narrative to introduce student to the Hindu tradition as a whole? Hillary Rodrigues discusses some innovative narrative strategies in Hinduism textbooks he has implemented wherein he uses narrative to enhance student experience. Rodrigues brings a wealth of insight, having taught introductory Hinduism for twenty-five years, and having authored Hinduism textbooks drawing from his teaching experience. He shares the journey that led him to break the mold of traditional textbooks while preparing Hinduism – the eBook by including “about half a dozen narrative vignettes, often at the start of certain chapters,” a strategy adopted keeping his undergraduate audience front and center in mind. Hinduism – the eBook was adopted and produced by Routledge in a printed version as Introducing Hinduism. Rodrigues reports that “the technique of narrative inclusions was unanimously lauded as highly appealing to students” as well as their professors who had used it for years in their classrooms. Moreover, his Studying Hinduism in Practice called contributors to step out of their academic styles and to tell the story of their raw personal experience in the field, inclusive of their own thoughts and feelings while engaging their data. The efficacy of personal accounts as a teaching tool is discussed by our next contributor. In "Teaching Tales: Mokashi’s ‘Religious’ Narratives," Jeffrey M. Brackett speaks of his reliance upon ethnographic accounts and novels while teaching his introductory course on Hinduism. His students repeatedly rank D. B. Mokashi’s Palkhi: An Indian Pilgrimage among their favorite books in the course, owing to the fact that it reads like a novel on one hand, and a memoir on the other. Mokashi recounts his journey with the Warkari movement in Maharashtra, India, on its annual pilgrimage to Pandharpur. The account synthesizes several course themes as Mokashi narrates mundane aspects of his pilgrimage, for example, the selfishness of other pilgrims, charlatan teachers, broken families, thieves, rumors, ridicule of education, child labor, caste, and gender divisions. Not only do the students get to engage a story of personal experience, they get to interlace it with their own personal story: Brackett assigns a self-reflective exercise pertaining to the book. Students are thereby afforded a “relatable” learning experience that stays with them. In addition to the formal telling and teaching of religious narratives, personal storytelling is also an extremely powerful teaching tool. I had the good fortune of serving as Ryerson University’s very first world religions instructor this past year. Ryerson is located in the downtown core of the world’s most diverse city: Toronto, Canada’s cultural capital. As such, the student body is wonderfully textured, comprised of learners hailing from a variety of religious, philosophical, and intellectual traditions. Such a student body holds within itself tremendous data for our discipline, embedded in their very practices, outlooks, lifestyles, and narratives they've internalized. Elizabeth Rohlman offers great insight into adopting this in "The Dynamic Canon of the Purāṇas and the Ethnography of the Classroom." Rohlman reflects on the evolution of her own teaching at the University of Calgary, where her undergraduate classes are mostly populated by South Asian students, whether fifth-generation Canadians descended from the Sikh laborers who built the Canada Pacific Railway in the late nineteenth and early twentieth centuries or newly immigrated Canadians. Inspired by Giorgio Bonazolli’s observation that the genre of purāṇa (Indian myth) functions dually to preserve an original essence and to cater to the ever-evolving religious needs of human beings on the earth, Rohlman frames her courses with an understanding of the value of both emic and etic perspectives in the study of religion. In addition to introducing students to the variety of data that scholars of religion consider in their work, she brings in ethnographic practices to her teaching to achieve an atmosphere of interactive dynamism. This strategy, as she details, has been tremendously successful in student engagement, and she proposes this approach would work across the teaching of various religious traditions as well: all it requires is an invitation to students to be self-reflective and to tell their own stories. In “Teaching Hindu Stories as Ways of Fashioning Selves and Framing Lives,” Shana Sippy discusses her pedagogical goal of having students consider how Hindus draw upon religious narratives to interpret their lives, relating to key stories for the production of political ideologies, community ties, and moral bearings. Sippy details two pedagogical strategies towards this end: critical engagement with Hindu supplementary school curricula and engaging practitioners at Hindu temples, attentive to the manner in which the religious narratives impact their personal narratives. For example, she details a classroom adventure when she took her “Modern Hinduism” class to the Minnesota Hindu Milan Mandir in 2010. The temple (mandir) was housed in a one-room converted garage in the suburb of Eagan, Minnesota, at the home of Satya Balroop, its Indo-Guyanese founder. Sippy strategically prompted Balroop to share the story of her family’s migration and founding of the temple. Balroop’s story was necessarily punctuated by references to the divine presence invisible guiding her path every step of the way. She encouraged students to engage temple practitioners in a similar manner, learning how they situate their personal stories in the larger context of Hindu stories. The emphasis on storytelling—whether mythological, ethnographic, or personal—is geared, I feel, at hearkening to the embodied nature of experience: every story pertains to an experience, and every experience can be narrated as story. One can immerse students into such a field of experience through a variety of media. I mentioned I might tell a mythic tale at the outset of my classes, but I might also share a modern mythic tale in the form of a video clip from Chronicles of Narnia, Star Wars, or The Lord of The Rings. In his article "Narrative Pedagogy and Transmedia Balancing," Caleb Simmons takes emphasizing the experiential who a whole new level in what he calls “transmedia balancing,” that is, a novel pedagogical strategy entailing incorporation of various media in the classroom “that both exhibits the diverse range of sources for religious knowledge and seeks to activate in students multiple learning fluencies about the same subject matter.” His students are afforded the chance to interpret Hindu myth as expressed not only in Sanskrit and vernacular texts, but also in 3D sculptures, films, paintings, performances, and 360-degree visualizations of interiors of temples and palaces decorated with murals. This results in a more apt representation of how diversely practitioners have engaged their narratives over the ages. It also appeals to various learning styles (visual, aural, physical, as well as verbal), and fosters fluency development in multiple ways of knowing as opposed to engaging only text. Simmons's strategy is, as he states outright, “designed to resist the hegemony of the printed word,” one particularly incongruent with the multimedia dynamism innate to South Asian religious expressions. Stories connect authors and readers, or tellers and listeners far more intimately than impersonal and merely informative modes of communication. Within the receptivity and focus that is induced when one is absorbed in reading or listening to a tale, learning inevitably occurs… [indeed] we listen to stories, remember them, retell them, and may even model ourselves on their characters. Students across the board tend to greatly value storytelling as an enjoyable and impactful educational experience since stories render material memorable and relatable. We therefore invite you to teach stories, and to teach through stories, whether canonical or anecdotal, as you continue to enrich your thinking and teaching within the religious studies classroom and beyond. 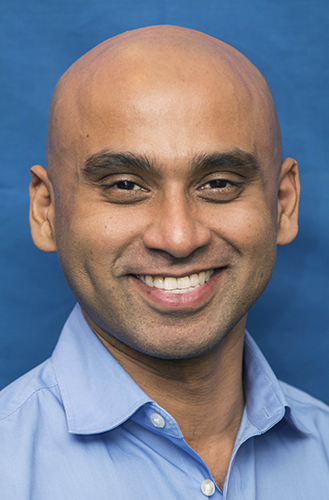 Raj Balkaran is an instructor at the University of Toronto School of Continuing Studies and is Ryerson University’s first world religions lecturer. Storytelling serves not only as a pedagogical cornerstone for Balkaran, but also as an object of research. Publishing mainly in the area of Indian myth, his synchronic analysis of India’s Great Goddess mythology, The Goddess and the King in Indian Myth: Ring Composition, Royal Power, and the Dharmic Double Helix, is to be published with Routledge in fall 2018.